Google is providing chat over SMS in India from six months, but now they have silently added all operators across the country to the service. 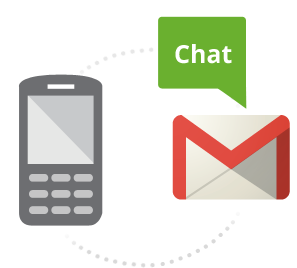 As you know, this service helps users to send free SMS to mobile phones through Gmail Chat tool. When the receiver replies to that SMS through the same, their response appears as replies in Gmail Chat. However this service is yet not integrated with the Google Talk (Gtalk) App. Also there are limits one can use. Sending a SMS is so easy from the interface. You need to update the contact list with the person's cellphone number. To ping him, click on the name in the chat box and SMS/chat window will come, type your text and send. SMS can only be sent when the other party is offline. Google does not charge for using this service. But it is obvious that mobile providers' may charge you for responding to that SMS message. If you are receiving unwanted SMS from the service, you may request Google to ban a particular user, or may opt not to receive any further message from the App. To block a single user, type BLOCK and reply to the message you received from the person. To revert the choice, you need to send the word UNBLOCK to the phone number from which the message was sent. If you no longer wish to receive any SMS from the chat service, you can text STOP to the corresponding operator service number for your country. To reactivate the service text START to the system number. For India the service number is +918082801060 for all mobile operators. For other countries you can find the service number list on the help page.